Can you over-felt your knitting? Well, the answer seems to be, why yes you can! As you will see from my previous post, I was struggling with felting some yarn for the French Press slippers. 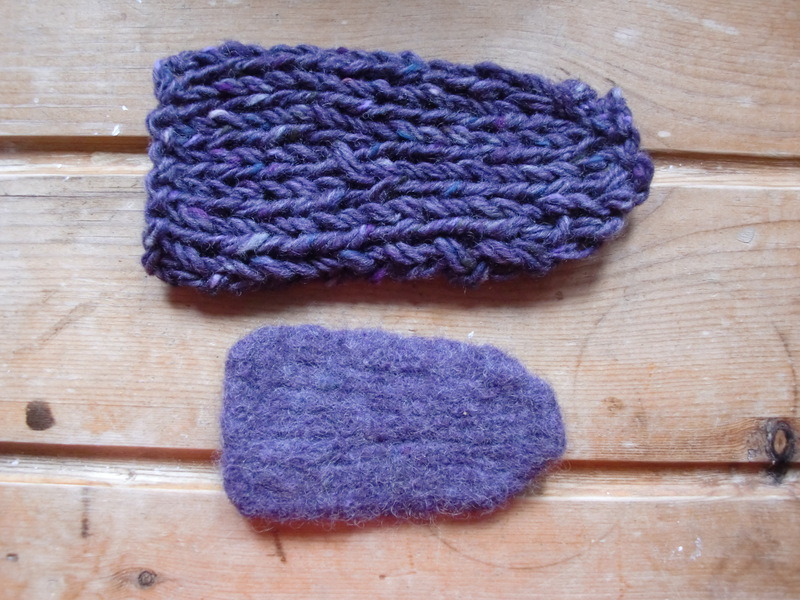 I have changed my yarn for something 100% wool and have decided to try my hand at felting by hand. I was searching around for some help on how to felt using a front loading washing machine and it seems that my machine will just not cut the mustard. I can increase the temperature but I can’t control any other part of the cycle. This, I suspect may be why I was failing with the first lot of yarn that I bought for this project. 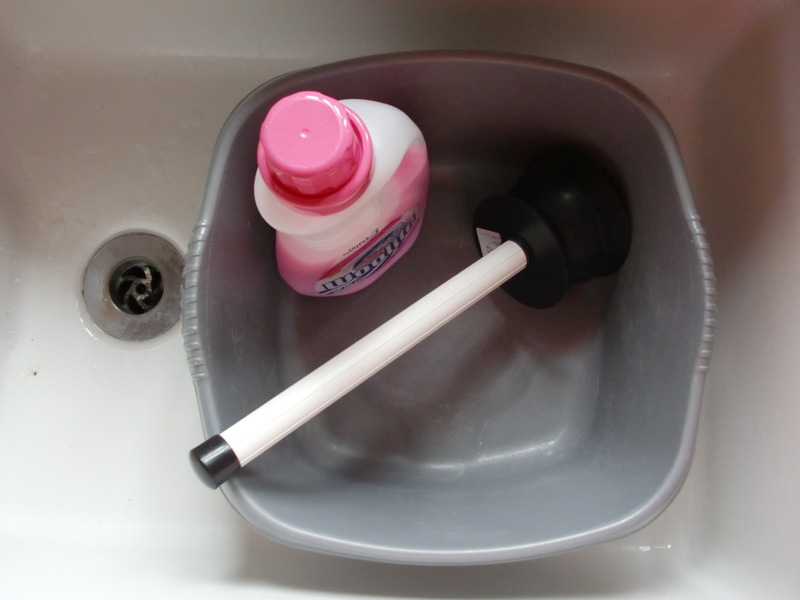 Anyhow, whilst looking for some advice on felting I saw some tips for felting by hand with a plunger in a basin. So, last week I got out a bucket, a plunger and some Woollite and put the kettle on to boil. To be honest at first I thought me and felting were not meant to go together as nothing seemed to be happening. eventually the fibres started to bond and I started to get somewhere – thank goodness for that!! So there I was plunging and scrubbing away, pleased with my progress, wondering in the back of my mind whether I could over do it at all. I stopped when I felt (no pun intended) that the piece was sufficiently felted. Here’s a felted and non felted piece…. Needless to say once I’d done with the felting I decided to consult the pattern notes, only to find that I had felted the piece too far and it was half an inch too short…damnit!